Though most people are enamored with marquee cards that have been breaking out this weekend—like Death's Shadow, Eldrazi Mimic, and, incredibly, Eldrazi Skyspawner—two cards' specters are still making an impact: Splinter Twin and Summer Bloom. The recent banning of those two cards, and functionally their decks, has drastically altered the landscape of Pro Tour Oath of the Gatewatch. Since the ban two weeks ago, testing for Modern has been a footrace. Who could best adjust and discern the metagame to succeed in an almost-new format? Always the first people to talk to about this topic are the "Modern Masters." The Masters are the people who've made their Magic name in this format, and the people who immediately spring to mind at the mere mention of the word "Modern." Names like Patrick Dickmann, the Twin Innovator; Josh McClain, Birthing Pod Machine; and No. 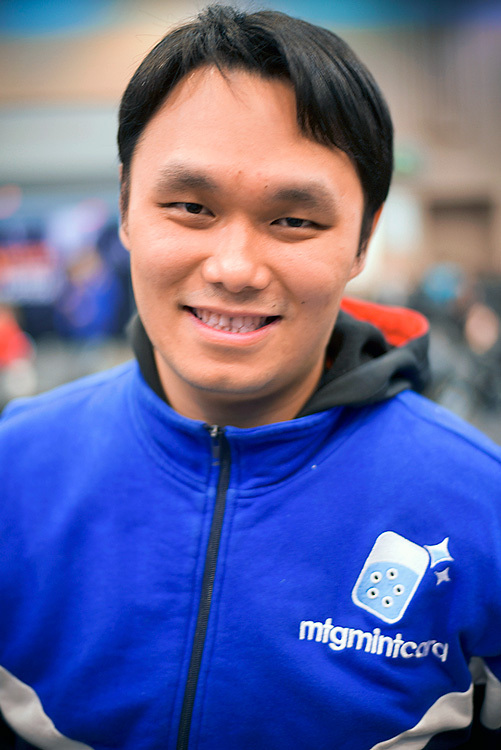 20 Lee Shi Tian, the only person to convert every Pro Tour Modern appearance into a Top 8 finish. All three are live for the Top 8 right now, adjusting to the changes with aplomb. How did they do it? What did they think the Modern Pro Tour scene would look like? And did it pan out? But that didn't mean the ban avoided shaking up his testing. "I expected all Hell to break loose," he said. Dickmann knew that the Splinter Twin deck played the role of "Fun Police" in Modern to some degree, and thought that the pro-active decks—Burn, Tron, Affinity, Infect—would run amok. Patrick Dickmann may be known for being a Twin player, but the Modern Master also has plenty of experience with Affinity. Though the Jeskai Control deck, which still plays both Splinter Twin and Deceiver Exarch analogues (Kiki-Jiki, Mirror Breaker and Restoration Angel), is still live in the format, Dickmann said, "It's just too slow." He continued, "I like to put on pressure and tempo, and [Jeskai] doesn't do that." The "Tarmotwin" tempo lover couldn't quite find his sweet spot. Though he tested Blue-Red Delver, he found it lacking. Faced with this situation, Dickmann thought it better to join them rather than beat them. Since he was playing one of the big four, Dickmann doubled his efforts. "But Affinity is a lot different that Infect," Dickmann qualified. "It's more like Twin, in that it has a lot of decision making and play." Already conversant in robot-speak, Dickmann, with the help of the world's top Affinity players, designed a tuned list for the Pro Tour. But the Grand Prix Antwerp winner admits Affinity is not "his deck," and there might be something else in the future that strikes his fancy. 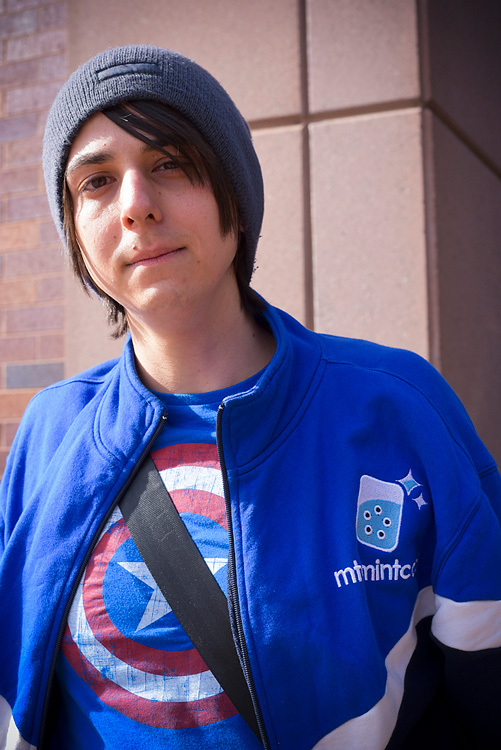 "When Twin was my main option, Affinity was my back-up. I'm still looking for my next option." "We need to wait and see how the format develops," he said. "I thought Jund would be dead, but it's doing pretty well apparently." Even this Modern Master was slightly befuddled by the ban. Perhaps the same could be said of Grand Prix Detroit 2013 winner, Josh McClain. The name most closely associated with Birthing Pod, McClain has seen bans like this in the past, and has always adjusted well. But that doesn't mean it's easy, especially this time around. "This Pro Tour feels different," McClain said. "Last time the decks were still, well 'bad,' so Midrange decks were still well positioned." He said of Pro Tour Fate Reforged, where he went 8-2 in Modern, "Birthing Pod–style decks were still good," so he still played the "Pod-less Pod" deck. This time, those midrange strategies were too slow. "I definitely have a bias for Voice of Resurgence," he said. "And yes, I did try different Voice of Resurgence decks—the Wilt-Leaf Liege ones, etc." He also tried the four-to-five-color Chord of Calling decks. But those weren't working either. "Once I realized they weren't good, I thought 'Okay, now I need something new.'" Enter the ChannelFireball and Face-to-Face Games Eldrazi deck, the colorless beast everyone is scrambling to beat. "I thought the deck was okay; I thought it was mediocre," McClain said. "But once 16 out of 20 players were on the deck, I realized, 'I just must be wrong.'" And just like Dickmann, he joined them rather than beating them. 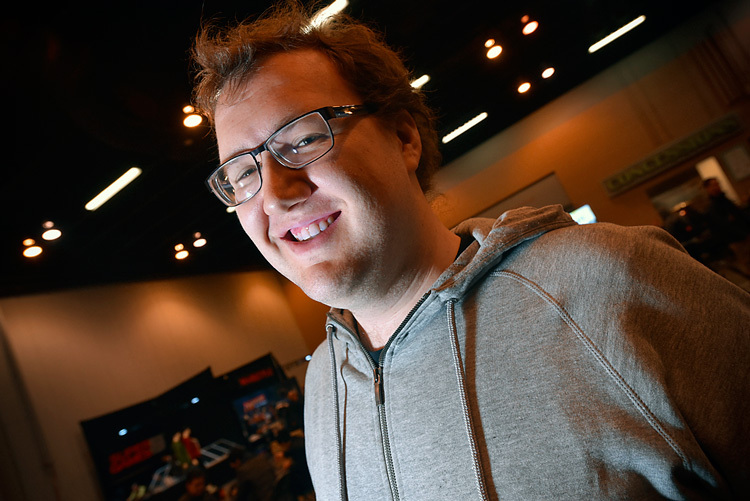 Going into Day Two, he's 4-1 in Modern, with his sights on the Top 8. Josh McClain trusted his team's testing in the Eldrazi deck, opting to play it instead of a Voice of Resurgence strategy, which underperformed for him in testing. Two of the Modern Masters looked at the format, figured out the flow, and went with the tide. Dickmann went with his standby, and McClain went with his team. But there was one Modern Master who returned to his Modern mooring rock when the seas got rough. Twentieth-ranked Lee Shi Tian, the Hong Kong native with three Modern Pro Tour Top 8s of the four on his resume, did something different than either McClain or Dickmann. Lee went 4-1 yesterday in Modern with Blue Moon, the same deck that vaulted him to the Top 8 of Pro Tour Born of the Gods almost two years ago. "Blood Moon is very good," Lee said. Although he added a caveat: "We figured that out on Tuesday." He started laughing. The banning left precious little time for testing, but Lee and his testing team, also MTG Mint Card like Dickmann, made the most of it. "The deck that beats Affinity is gone, and the deck that beats Tron is gone," Lee said. "That makes Infect and Burn, which beat both Affinity and Tron, better." So Mint Card set out to discover what the link in that deck chain was. The link was non-basic land. With four main deck Blood Moon, and just enough early blue disruption, Blue Moon quiets early assaults, then just completely locks the game down. "And people still don't know how to beat the deck," Lee said. "Post-board they search out basic lands, but that doesn't beat the deck, he said. "They still lose to Blood Moon." They just don't know that they do. (20) Lee Shi Tian selected a deck he is more than a little familiar with for this Pro Tour: Blue Moon. "I think it's the best deck here," Lee trumpeted, which isn't a crazy claim, seeing as how one of the four people playing the deck this weekend, Jason Chung, was undefeated after Day One. "And it can beat the Eldrazi too," he added. "We have cheap removal, counterspells, and Blood Moon," Lee said. "Yesterday [against Eldrazi] I saw Jason go Spell Snare, Mana Leak, Blood Moon, over." Lee emphasized that because the Eldrazi deck can cast two-drops on turn one (thanks to either Simian Spirit Guide or Gemstone Caverns) the Spell Snare gets even better than it already was. Three masters, three different takes on the format. Patrick Dickmann is running a perennially good deck; Josh McClain is running the new hotness; and Lee Shi Tian looked to the past and dusted off an old favorite. Each of these Modern specialists chose a different path, but each are all finding success here at Pro Tour Oath of the Gatewatch. The name of the game in Modern has always been play to your strong suits; that doesn't change when you're a Modern Master.